Yet another story about the end of humanity seems like an appropriate way to wind down the 2015 Summer of Blockbusters, but you might be surprised at how un-blockbuster-like a movie about the end of days can be.So, before I get to my review, I’d like to suggest we start categorizing apocalyptic tales, or as I will now be referring to them EOD tales (that’s End of Days tales). We have enough of them, I think it’s time. First up, we have catastrophic EOD tales. 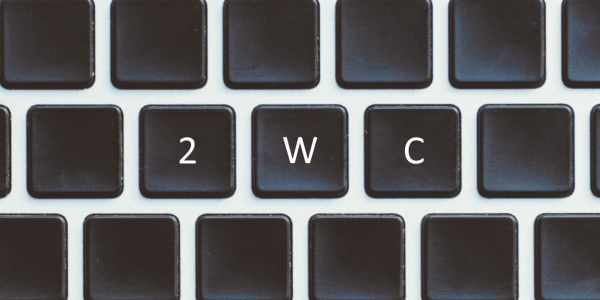 This covers all instances where we witness global chaos, whether inflicted by weather, war, zombies, or robots. Next, the comedic EOD tales. This would include stories like “This is How it Ends” (i.e. the greatest movie to ever end with a BSB concert in heaven), “Last Man on Earth,” and possibly “Seeking a Friend for the End of the World,” but it’s dangerously close to falling under my least favorite category: depressing EOD tales. This category exists solely so that I can talk about how much “Melancholia” bummed me out, which I suppose was part of the point. Finally, we have what I’d like to call the calm after the storm EOD tales. 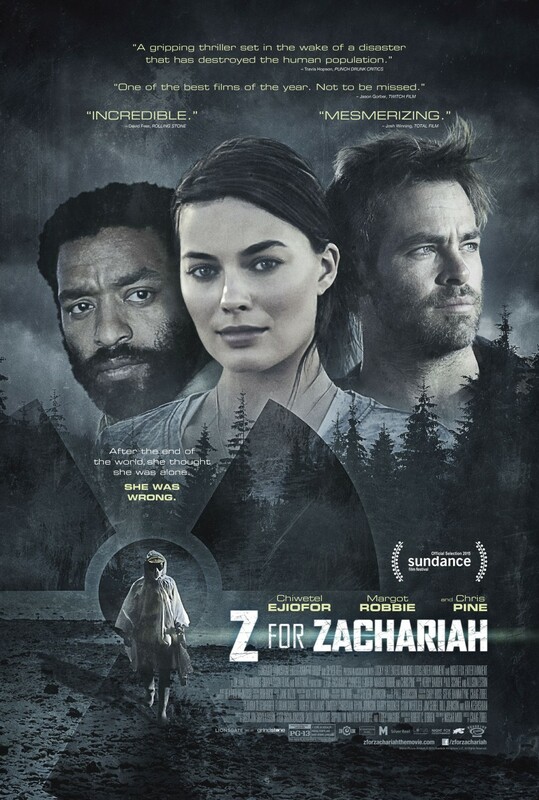 This is where we find “Z for Zachariah” a post-apocalyptic tale with the care-free pace of any film adaptation of a Nicholas Sparks novel, and it totally works. After the end of the world, Ann (Margot Robbie) finds herself alone with her dog in what seems to be the only valley untouched by the radioactive atmosphere that’s consumed most, if not all, of the planet. If she were a hot mess of crazy, no one would blame her, but the young woman we see is focused on the tasks at hand, although we see (emphasis on see, few words are spoken during the opening sequence of this film) that she is acutely aware of her solitude. She’s clearly self-sufficient, but has maintained an air of innocence in the midst of the end of the world. The rarity of this attitude is seen most acutely during her first encounter with John Loomis (Chiwetel Ejiofor), another survivor who finds her oasis. She’s stunned when greeted with suspicion, and still invites him into her home. These conflicting outlooks make their relationship an interesting one. Loomis is a scientist, who quickly devises a plan to generate hydroelectric power, but is met with resistance when the only available resources to build the turbine are the walls of Ann’s father’s church. The appearance of Caleb (Chris Pine), a local coal miner whose views end up bridging the gap between Ann and Loomis, resurrects the suspicious (and jealous) nature of Loomis. The suspense of this film is built in the “quiet moments,” and there are plenty of them. It’s a harsh contrast to the noise that most of us experience everyday, but they’re completely appropriate, and this group of actors pulls them off wonderfully (and without zombies).